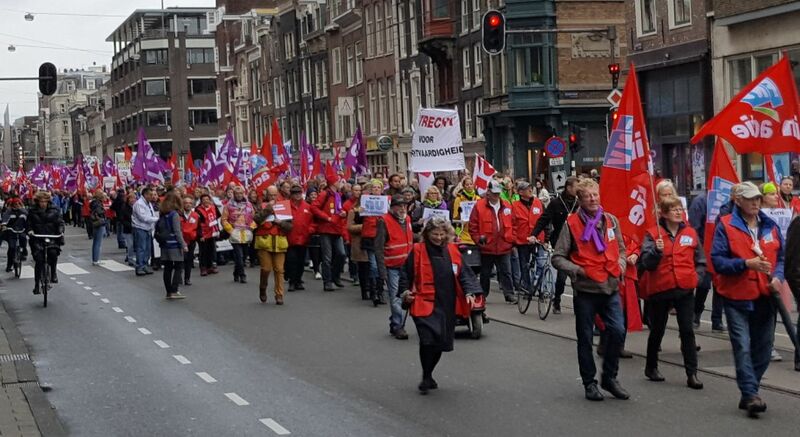 These videos are about the big anti-racism demonstration in Amsterdam in the Netherlands, of 10,000 people, on 23 March 2019. Photos are here. 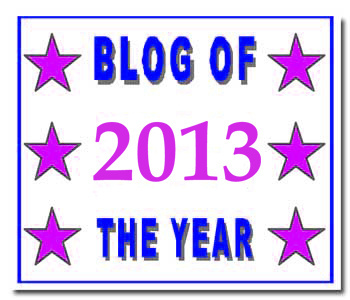 A report is here. Brussels, Belgium anti-racist demonstration: here. 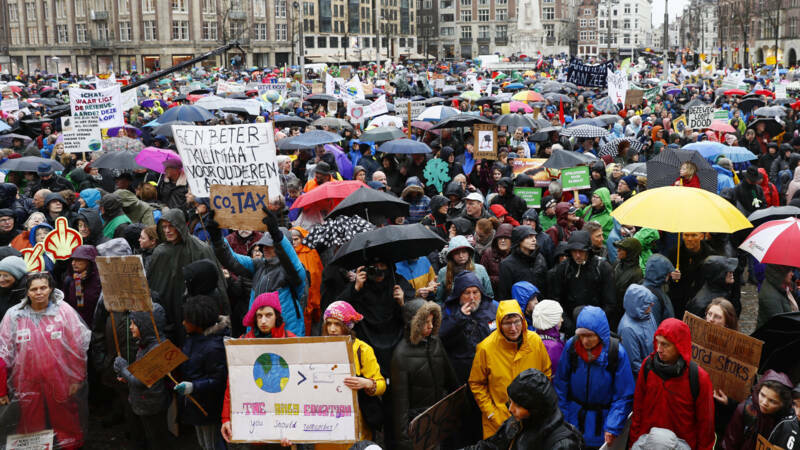 This photo shows pro-climate demonstrators, striking university and high school students, today on the Dam square, Amsterdam, the Netherlands. 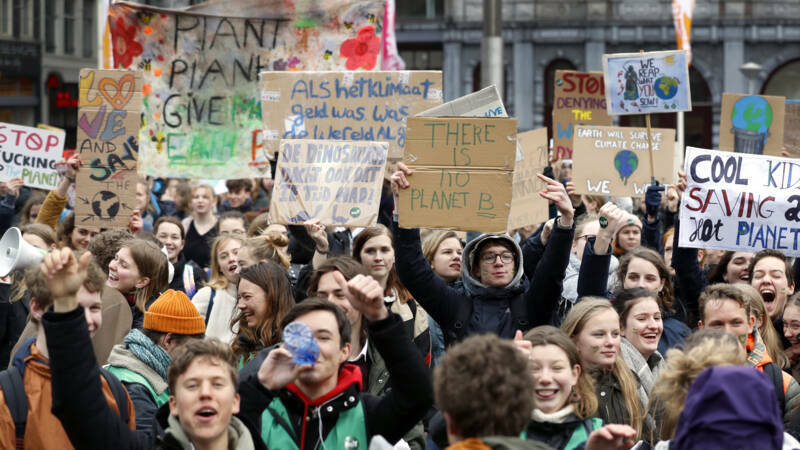 Hundreds of high school students and university students are protesting at Dam Square this afternoon for a better climate policy. 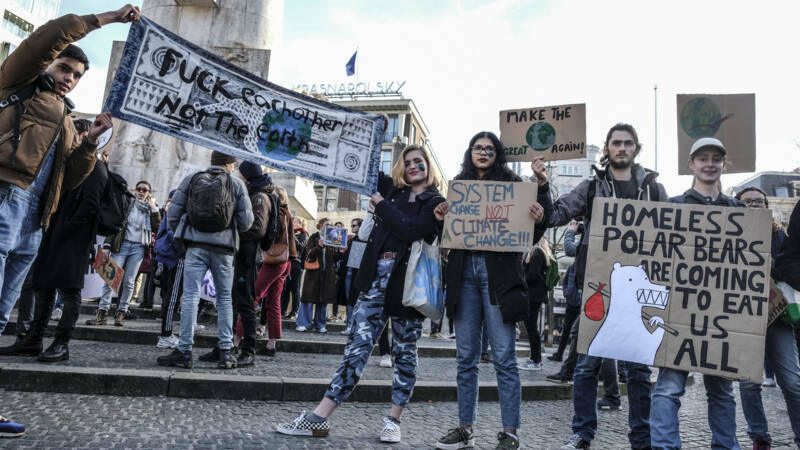 Just like the high school students who were at the Malieveld in The Hague last week, they left school to demand attention for the climate. 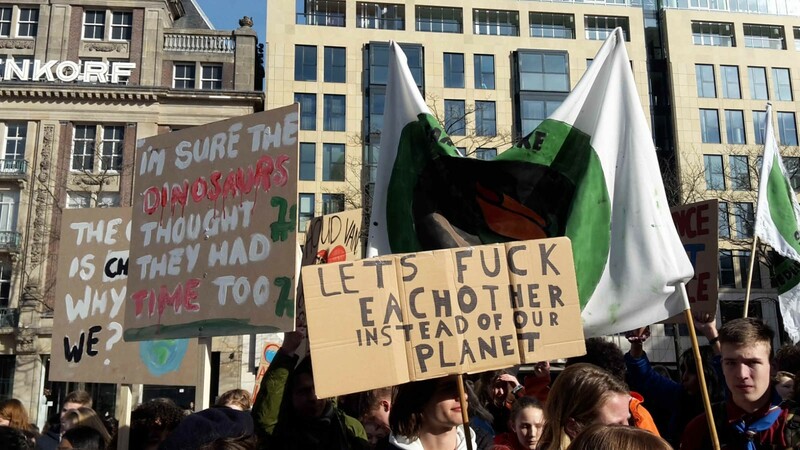 The action is organized by the Dutch branch of Students for Climate. This organization has organized protests in many more countries around the world. They were also involved in the organization of the high school student protest on the Malieveld. The students gathered at 12:00 on the Dam. After some speeches there they will march over the Rokin, the Vijzelgracht and the Weteringsschans to the Leidseplein. U.S. Support Must End Now: 12 million people in Yemen are suffering from severe hunger and 85,000 kids have already died from starvation as a result of the Saudi-led war. Right now in the U.S. Senate we are pushing to get a vote to end U.S. support for this disastrous war. We need your help. To commemorate the thousands of dead in Yemen. Victims of military violence and of the war-caused famine. The call to stop Amsterdam being a tax dodging paradise for the weapons industry. Five of the largest arms corporations in the world (Lockheed Martin, Boeing, BAE Systems, General Dynamics and United Technologies) have an official office in Amsterdam. These are no more than shell companies, exclusively intended to avoid tax. All these companies supply weapons to Saudi Arabia, which thus can wage the horrendous war in Yemen. Dutch companies are [officially] not allowed to supply arms to Saudi Arabia, but financially the Netherlands plays a role in the arms trade that keeps this war going. The favourable tax climate in the Netherlands gives the international arms industry even greater profits. All these companies are also involved in the development, production and maintenance of nuclear weapons, while Amsterdam has declared itself to be a nuclear-free municipality in the past. And they supply weapons to many more dubious customers: countries at war, with internal violence and human rights violators. Meanwhile, progressive council members of the Socialist Party, GreenLeft and BIJ1 have mentioned this in the local council. 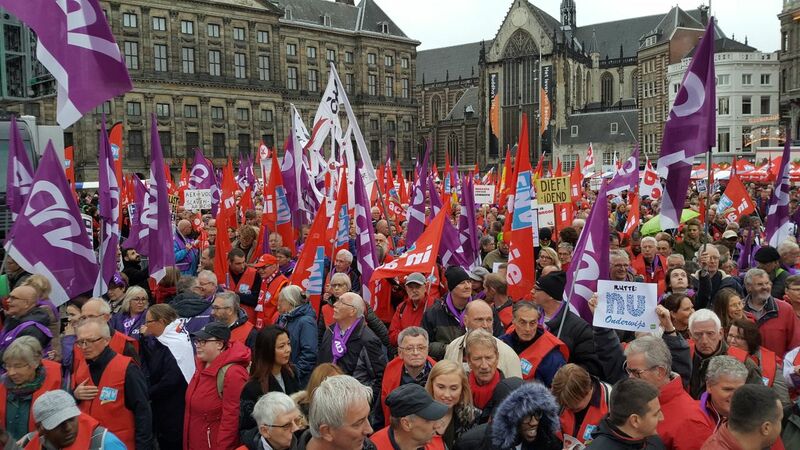 This video is about the 10 November 2018 trade union demonstration in Amsterdam, the Netherlands. A janitor at a public school, who has a minor disability, told the WSWS that he is paid according to his productivity. His wage is below the legal minimum and is supplemented by the social-welfare institution UWV, towards the minimum income. “What is a minimum wage good for, if employers can find a way around and still pay you less?” he asked.